“The Lark of Leipzig” is usually known as a German sweet pastry speciality. This ocarina from Leipzig is at least as sweet as the original - when it comes to sound. Finely crafted ceramic meets lovingly hand painted white glaze and it surprises with a clear triad. “The Lark of Leipzig” is usually known as a German sweet pastry speciality. 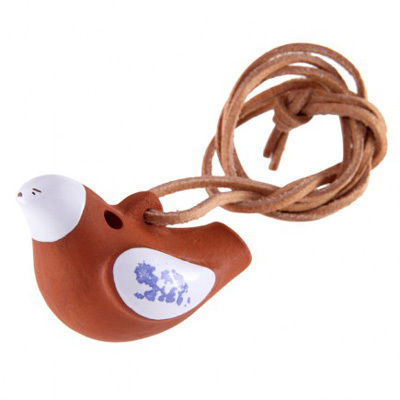 This ocarina from Leipzig is at least as sweet as the original - when it comes to sound. Finely crafted ceramic meets lovingly hand painted white glaze and it surprises with a clear triad.